I was lucky enough to receive a very tasty looking package through the post from Corkers Crisps. 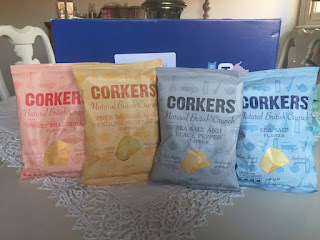 Corkers was set up in 2010 by best friends Rod & Ross and over the years have concocted up a range of unique flavours. 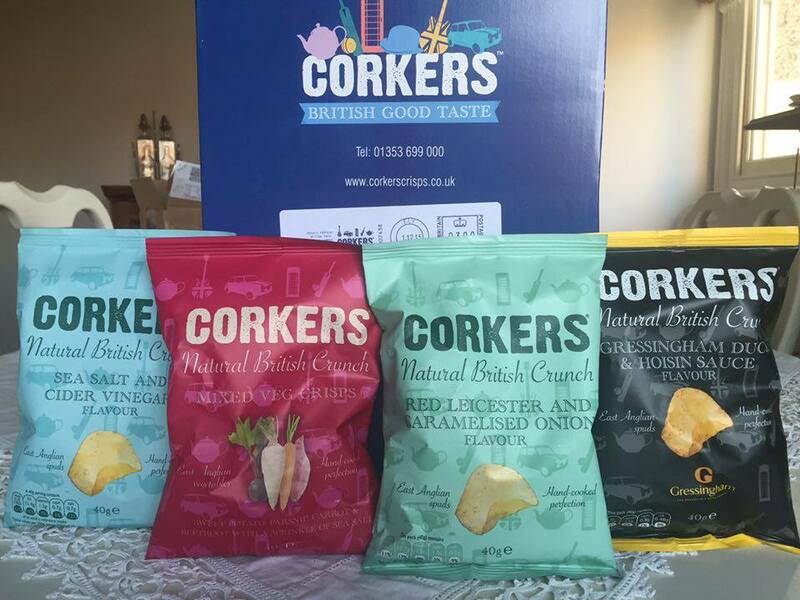 From start to finish, the crisps are made on the family farm in Cambridgeshire, from potato to being hand cooked on site. Before I start, I'm just going to say that all of these crisps are super crunchy! This is down to the potatoes that they grow, Naturalo. My sample box contained 8 different flavours. I've decided to go through them in two halves. The newest flavour to the range made up of sweet potato, carrot, beetroot and parsnip. Our favourite was the beetroot- it was almost juicy! In fact, all of the vegetables tasted great, especially with them being lightly salted. This is a definitely the packet for the cheese lovers. As a cheese lover myself, I was very happy. This and the sweetness of the caramelised onion are a match made in heaven. Much better than other standard cheese and onion crisps. I've never actually tried Duck before, so had no idea what I was going to be tasting here. Luckily, the rest of the family had so were there to help. I'm told they taste exactly like Duck which was so good and shortly followed by the after taste of the hoisin. 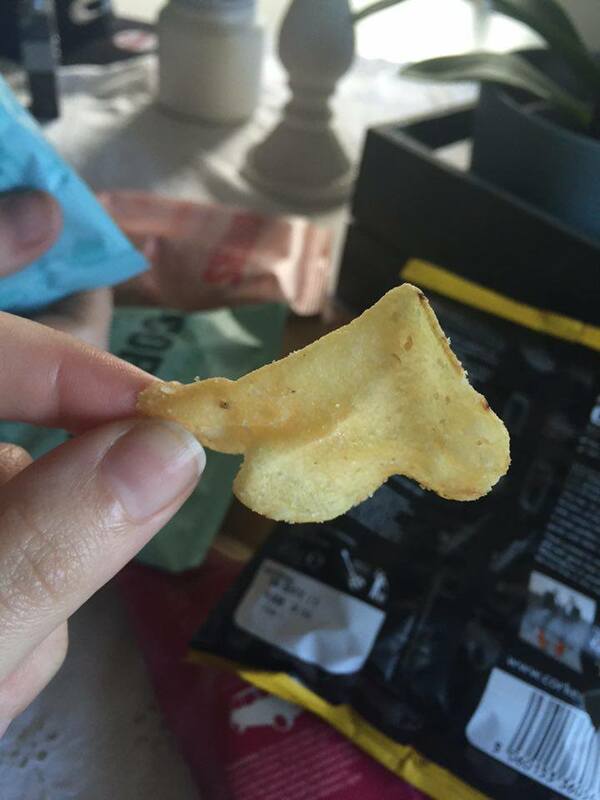 The first thing that stands out is the colour of these crisps, a fabulous orange! Very light tasting, not spicy at all, but not as sweet as I was expecting but still very tasty. You really can taste the 'herbiness' (probably not a word) of the sausage when you have your first crisp, shortly followed by the subtle kick of the mustard. I'll be honest, I wasn't a very big fan of this flavour myself. I found the pepper too strong. It wasn't hot, just quite overpowering. It went down well with everyone else though. Good old sea salt eh? A great simple flavour, not too salty either. I imagine this packet would go perfectly with a cheese and tomato sandwich. If I was to pick a favourite, it would be Sea Salt & Cider Vinegar for sure. I'll definitely be picking up some more next time I see them. 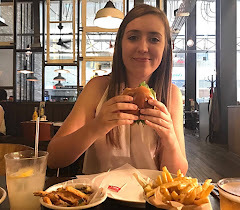 Thanks for reading & let me know what your favourite flavour is!